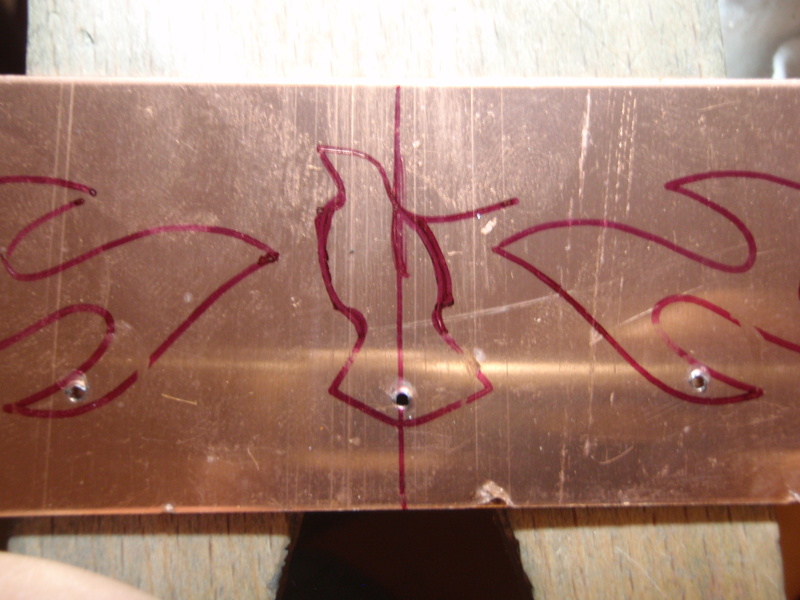 This is actually a very simple thing to make . 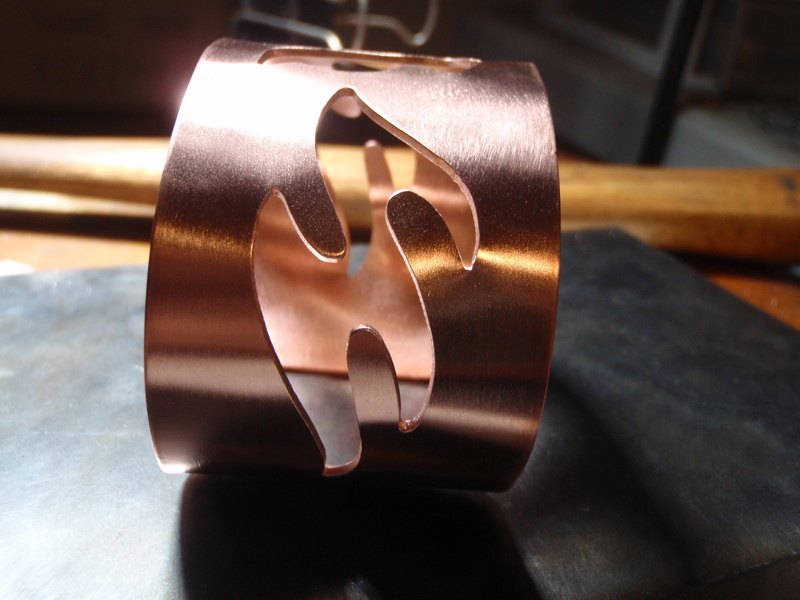 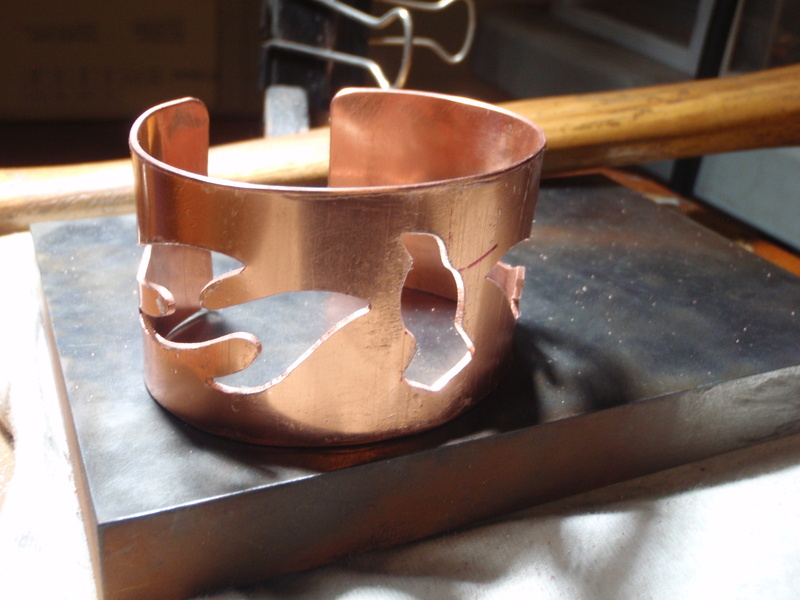 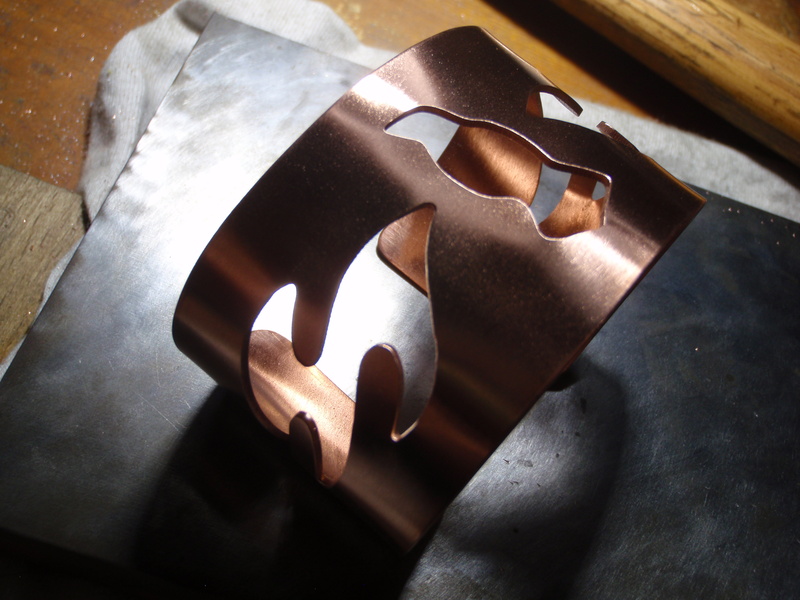 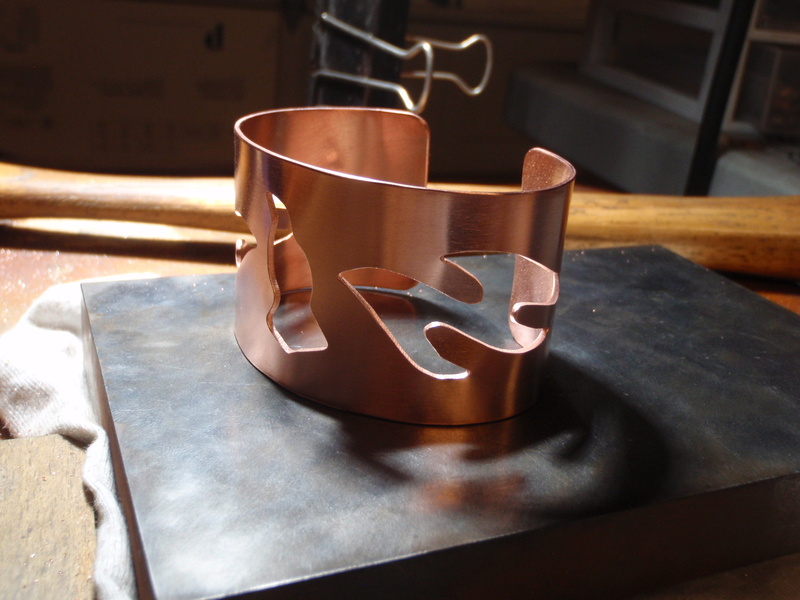 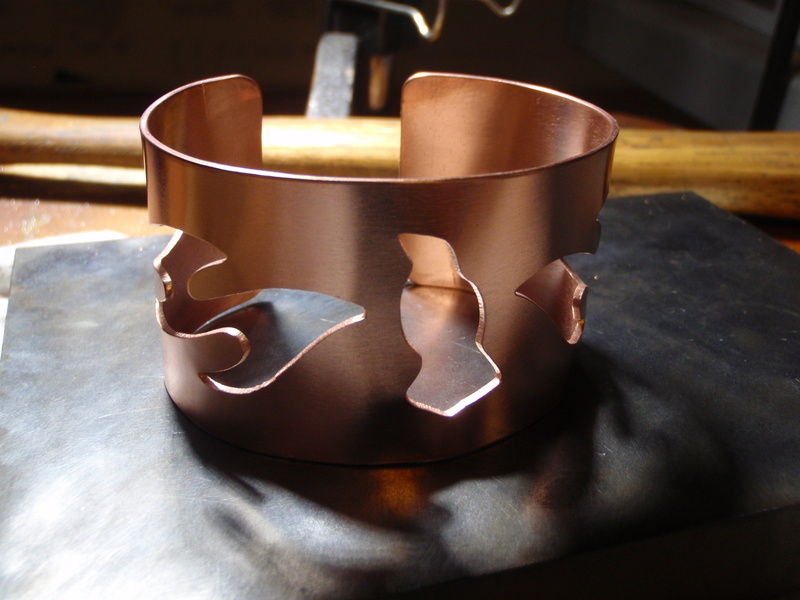 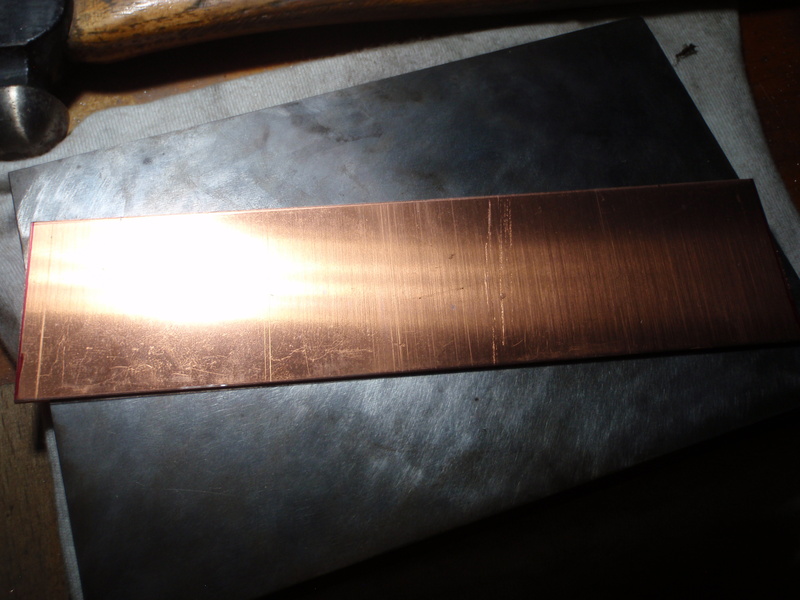 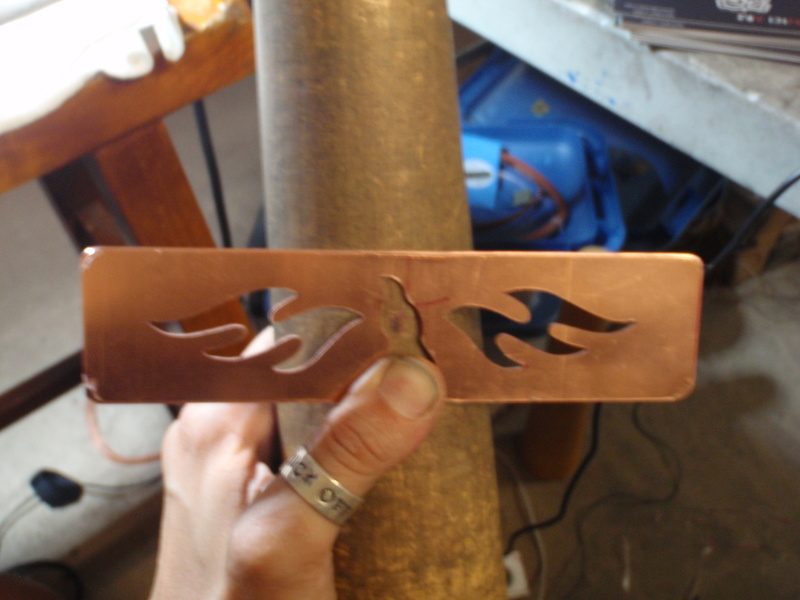 You start out with a wide copper strip ,I used 1 1/2 inch by 16 inch17 gauge copper for this cuff bracelet . 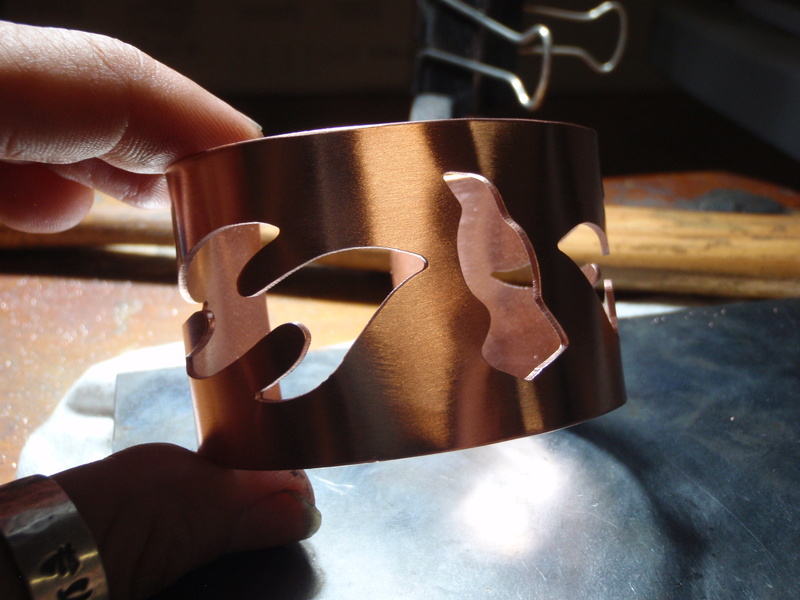 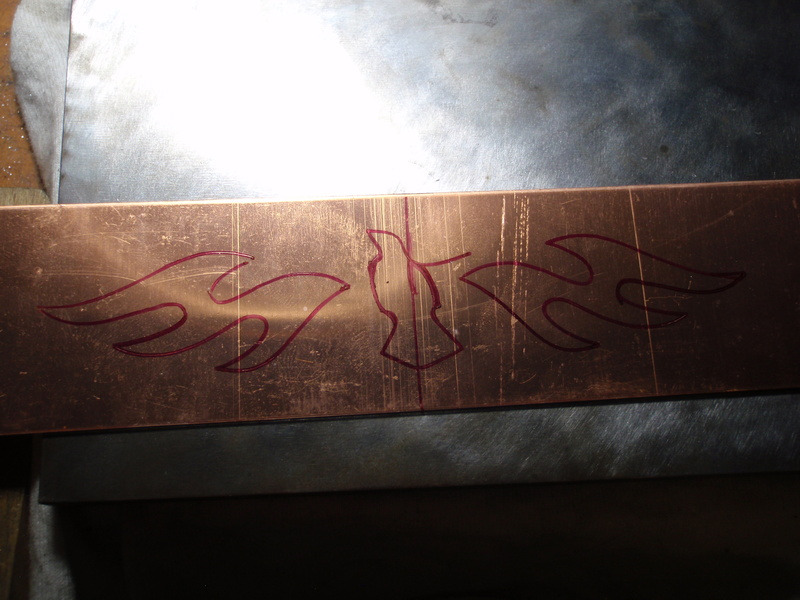 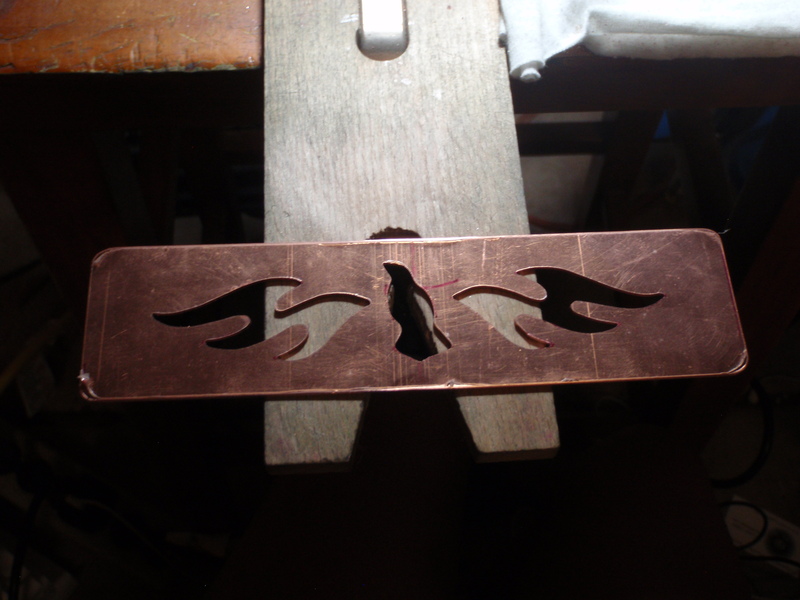 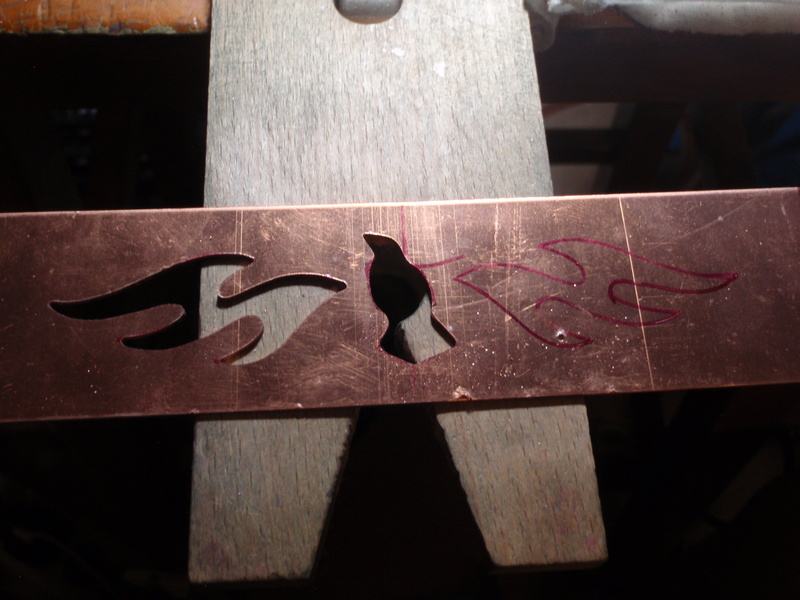 Draw your bird onto the bracelet strip or on a piece of paper . 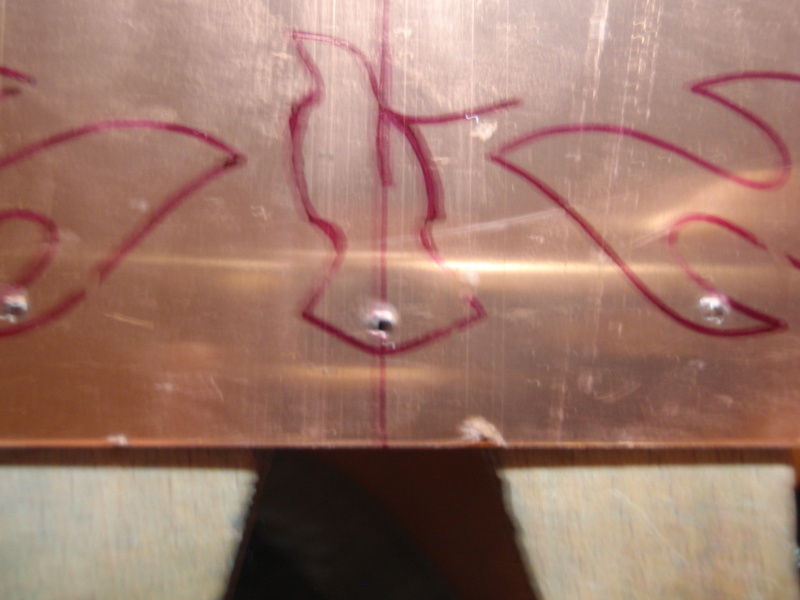 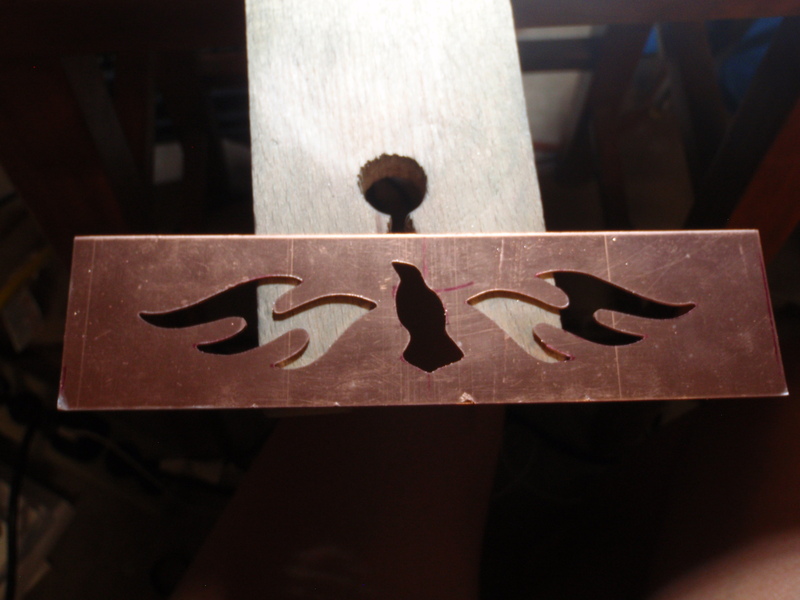 Pierce the inside of the wings and the inside of the birds body and cut out the bird. 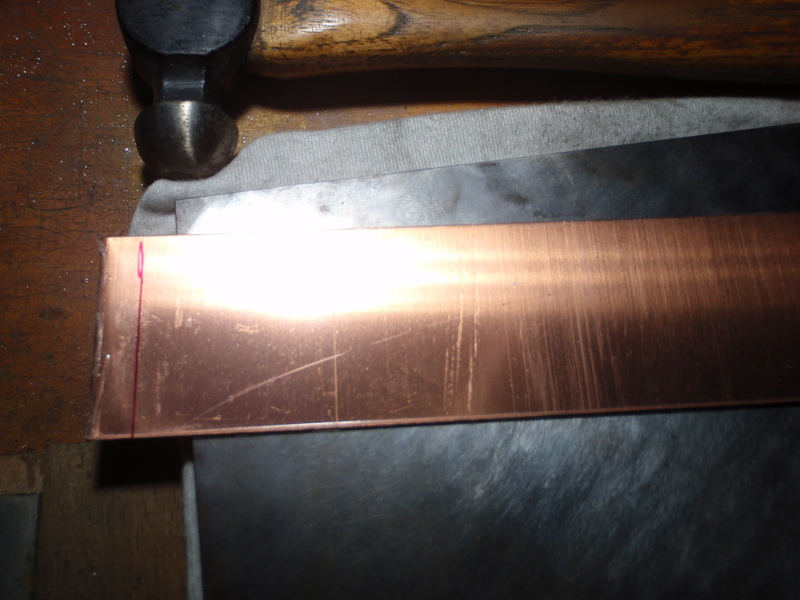 When you are done with cutting out file the edges nice and smooth . 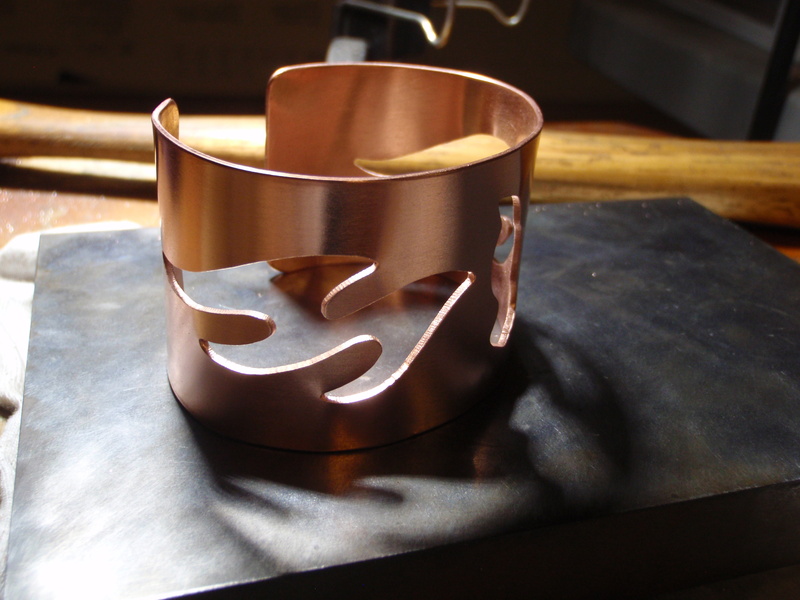 Form your bracelet on a mandrel either oval or round until you are satisfied with the shape . 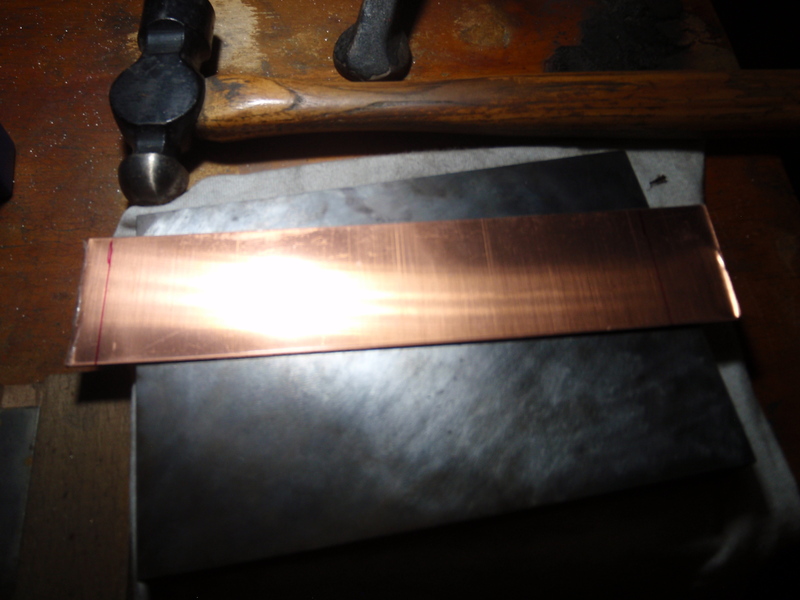 Start polishing with either a polisher or use steel wool or sand paper .